Obituary for Bruce C. Anderson | Fleming & Billman Funeral Directors, Inc.
Bruce Clark Anderson, age 57 of Saybrook Twp., died early Sunday morning, 2/10/19 at his residence following a five-year battle with cancer. He was born May 4, 1961 in Ashtabula, the son of the late Albin J. & Janet J. (Fassett) Anderson and has been a lifelong Ashtabula resident. He was married to Debra J. Musser on October 17, 1981 at Messiah Lutheran Church. Bruce joined his father in the family business, owning and operating the Anderson Jewelers in Ashtabula and Madison for many years. He was a member of Messiah Lutheran Church, BPOE Lodge #208 and the Bennett Hunting Club in Pennsylvania. Bruce had a multitude of interests including hunting, boating, water skiing, woodworking, drawing, sketching, playing the saxophone and learning to play the guitar. Survivors include his wife, Debra, two daughters, Pamela K. (Christopher) Kowalczyk of Ft. Sill, OK & Amy E. Anderson of Cuyahoga Falls, two granddaughters who knew Bruce as “Pop Pop”, Natalie Jean & Katelyn Elizabeth Kowalczyk and a brother, Todd (Joyce) Anderson of Pataskala. A memorial service will be held Wednesday at 7:00 PM at the Messiah Lutheran Church, 615 W. Prospect Rd., Ashtabula with the Rev. Michael Meranda officiating. A reception and receiving of friends will immediately follow in the church Fellowship Hall. The family requests memorial contributions be directed to the Messiah Lutheran Church Foundation (above address) or Hospice of the Western Reserve, 1166 Lake Ave., Ashtabula, OH 44004, envelopes will also be at the church. The Fleming & Billman Funeral Directors and Crematory and staff, Ashtabula, Jefferson & Geneva are privileged to serve the Bruce Anderson family. 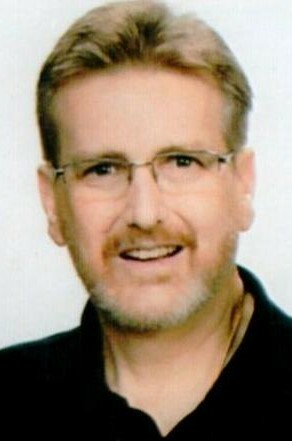 Visit fleming-billman.com to view obituary, express condolences or light a candle.